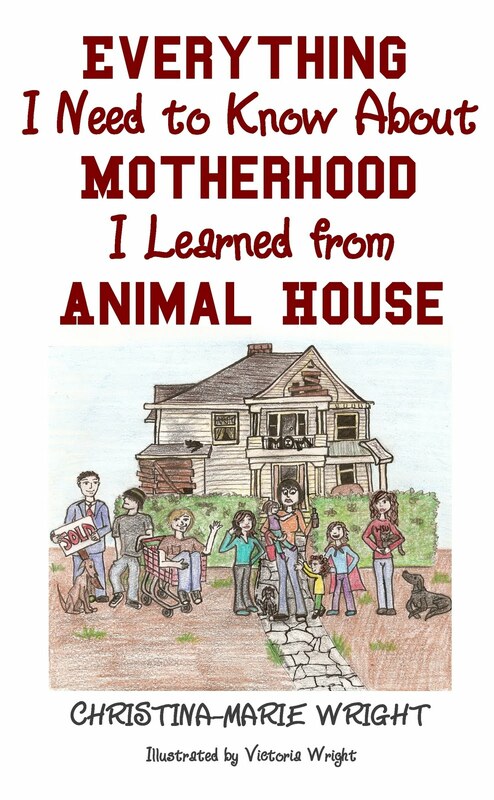 The Gonzo Mama: I Love My Life! 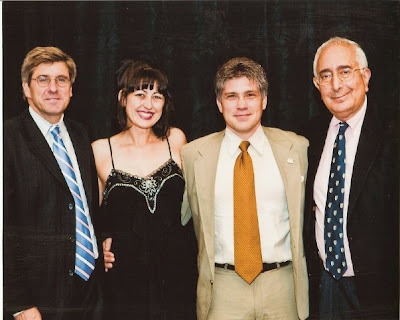 That's economist Stephen Moore, my Hottie McHotness self, that handsome devil we call Mr. Wright, and Ben Stein. Oh, I'm so jealous. That is FABULOUS! If you have Ben on speed dial, will you tell him about the post he inspired re: bystanders on my blog? Under topical features - his movie was great and has contributed to the "why" of my being vocal and asking questions at this time of absolute insanity in our nation(not that I wouldn't have anyway but...). Seriously - let US not be like those well-meaning German citizens who watched the camps being built around them, NEVER ASKING THE QUESTIONS!!! Imagine, having to look back after all that horror and realize that you had the chance to stand up and ask but hung back in fear? How many lives might have been saved? Fear is our ultimate opponent - and, ironically, an easy one to conquer! PS - and "you...loook...mahhvelous, you know what I'm sayin'?!" Unfortunately, I don't have Ben on speed dial, BUT I had a lengthy discussion with Stephen about ACORN. I asked him if he, like many others, thought that ACORN was "small potatoes" and just a drop in the bucket, considering that they got pennies on the dollar from the federal government, compared to Blackwater and Halliburton. He said, "I don't know much about Blackwater or Halliburton, but I DO know about ACORN, and they're corrupt to the core... They're racketeering, electioneering corruption." Ben pointed out many useful things during his speech, including that 80% of American Jews voted for Obama... and look what he's against Israel. He also talked about visiting the graves of soldiers fallen in Afghanistan, and said they've sacrificed for our freedom... what can we do in return? We can fight for our freedom here, and make sure this country doesn't fall to Socialism. 1. Tort reform - so doctors will stop practicing defensive medicine. 2. Promote health savings plans - we should be saving for our own health care, like we do for retirement. 3. Open competition for private insurance companies - give individuals the right to shop across state lines for health care, like unions can do; allow small businesses to band together to get the same deals the unions do. I was totally honored to be there, and wept openly with pride in my country. I hear you. I'm reading "America's Real War' and finding it a great read. I've been struggling to understand why I seem to know either / or - very lib or very consservative Jews, not much in-between...after what they've been through, WHY would they not ask questions of something that looks so much like history repeating itself? Very enlightening, to read this book. I totally agree with Ben. I also don't comprehend why, no matter what other issues are at hand, people of all degrees (from left to right) aren't in total solidarity of freaked-out-dom where it concerns the DEBT we are leaving our children. THAT alone, is every reason to question and get involved. You were a great ambassador for all of us standing in the corner of common sense and raising our voices - glad you were there, great to see your beautiful photo!